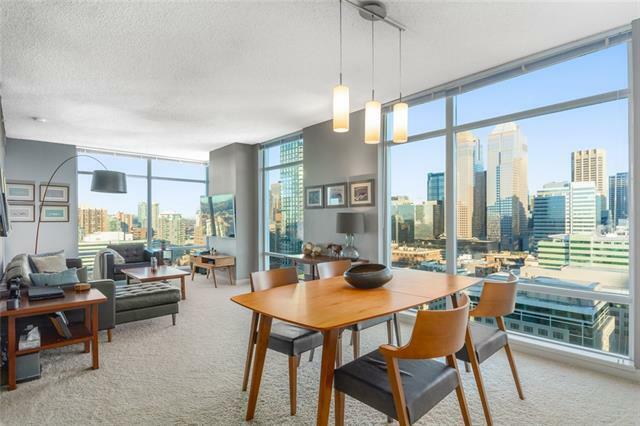 Own One of the Best Views in the City! 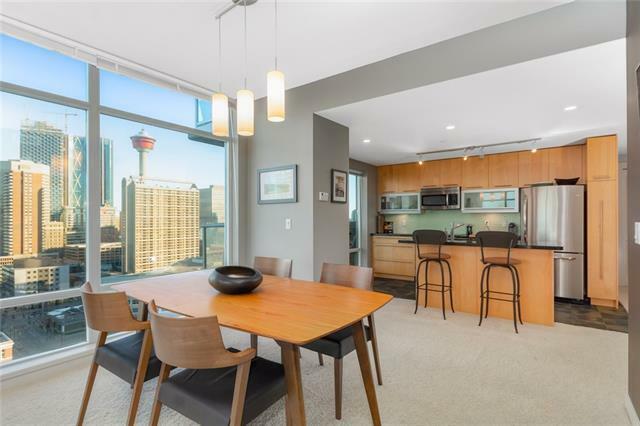 Over 40 feet of floor-to-ceiling windows capturing a sweeping panorama of the downtown skyline and Rocky Mountains. 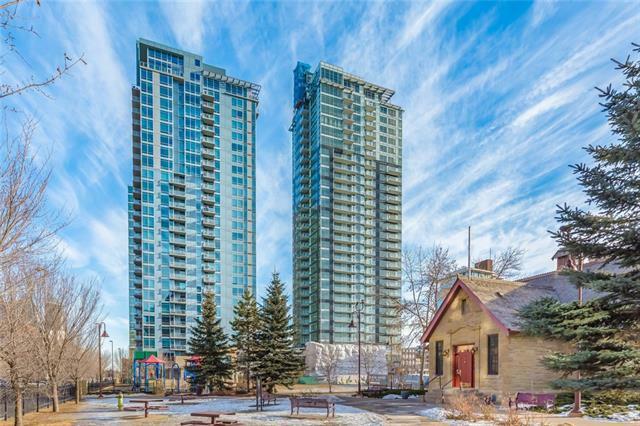 At 1158 sqft, this corner suite offers a thoughtful, efficient layout with both of the two bedrooms & bathrooms at opposite ends of the living areas for optimal privacy and comfort. 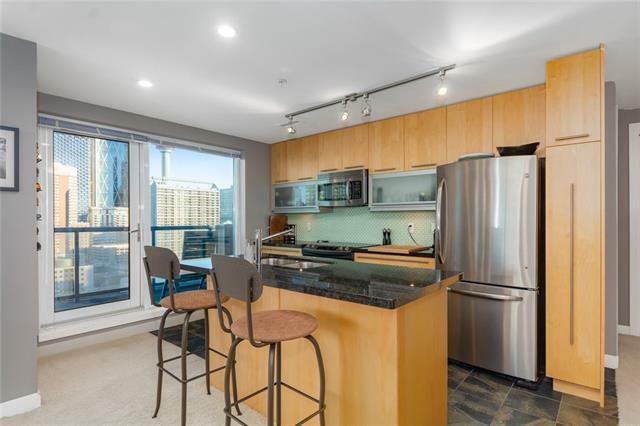 The European-inspired kitchen features granite counters, maple cabinetry, stainless steel appliances and access to a large city-facing balcony complete with BBQ gas hookup. Also note the custom built-in home office station, stacked washer/dryer, titled parking stall, and assigned storage locker. Union Square is soon to be joined to the neighbouring Underwood building; sharing building amenities including a new cafe/restaurant and security. The surrounding area offers a rich collection of some of Canadas finest restaurants, along with cafes, fitness & yoga studios, cocktail lounges and much more!